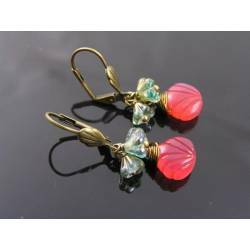 Another pair of my colourful Lucite flower earrings - lightweight fun for your ears and a perfect spot of colour on a grey day. 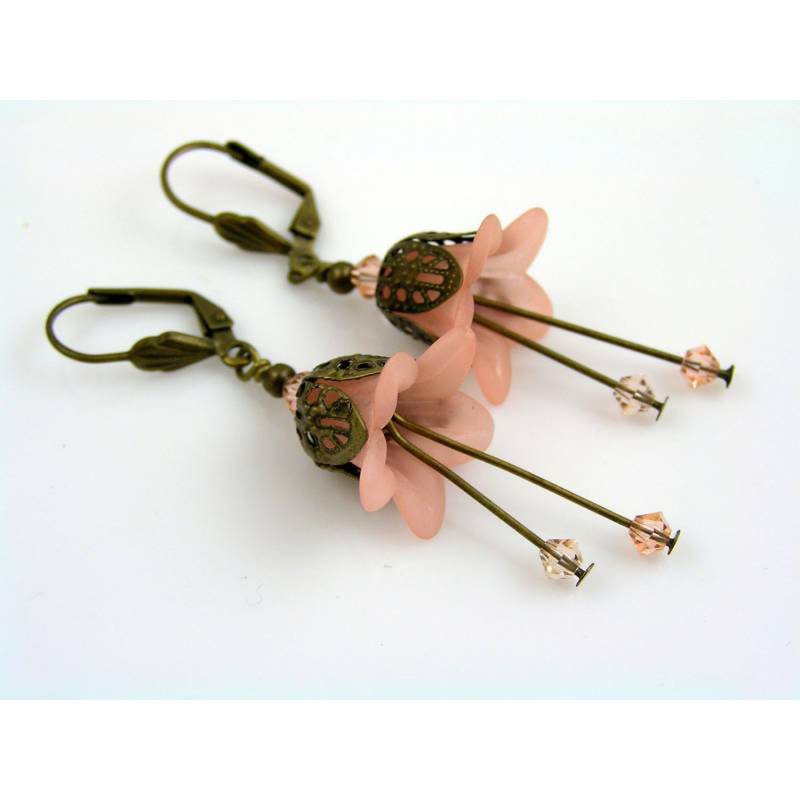 Starting with lovely coral or peach coloured Lucite flowers which I combined with gorgeous rose peach Swarovski crystal beads and antique bronze bead caps. 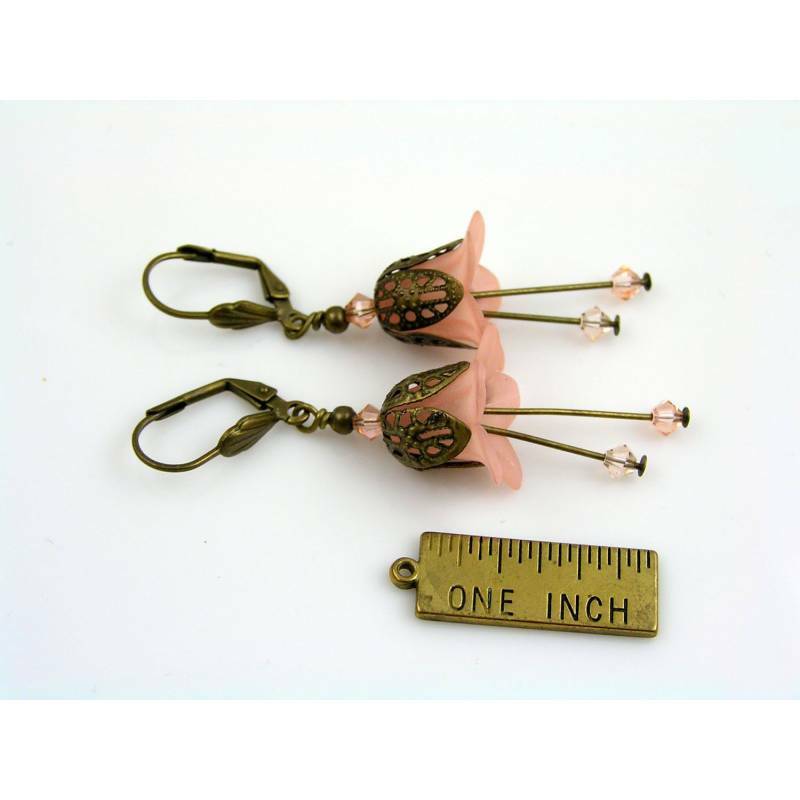 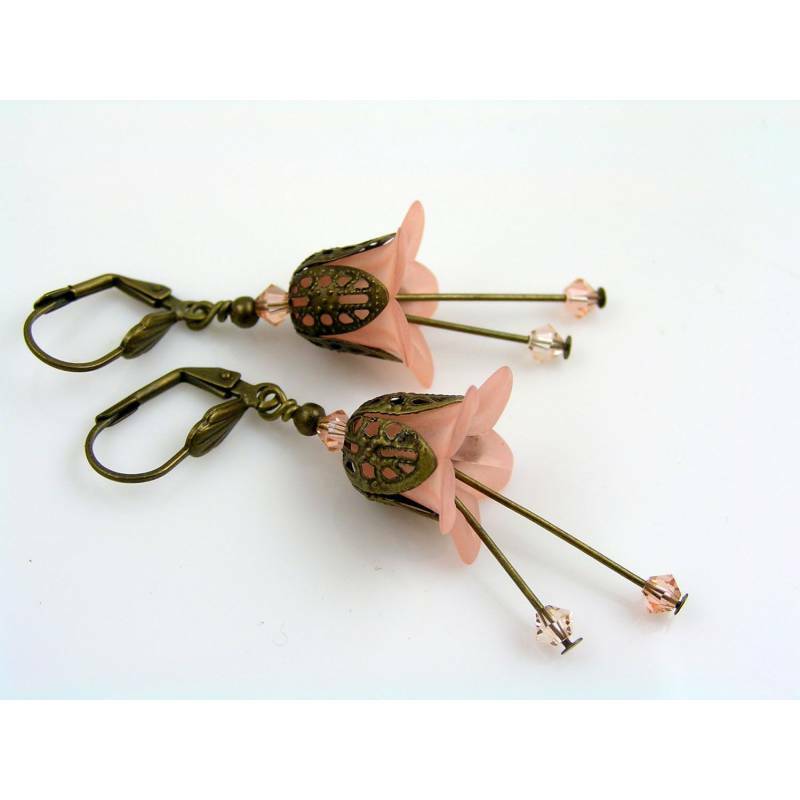 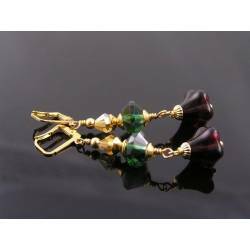 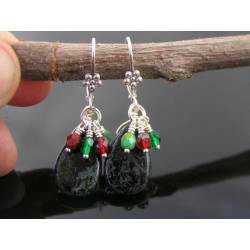 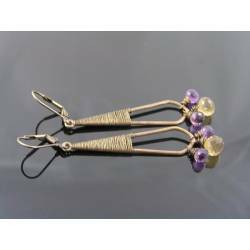 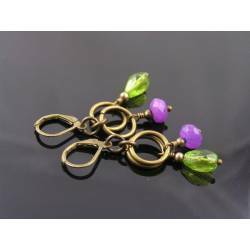 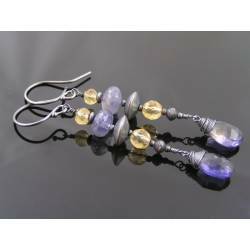 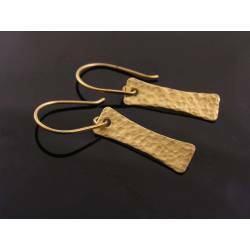 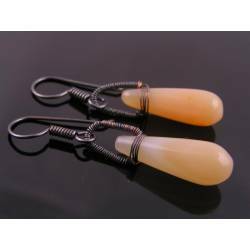 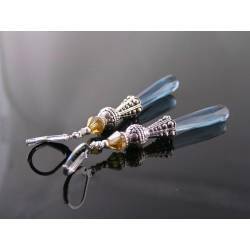 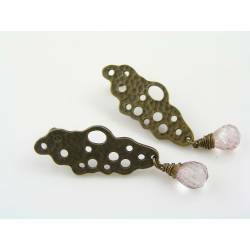 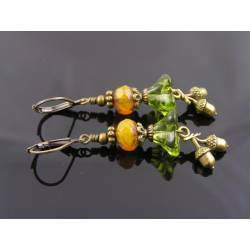 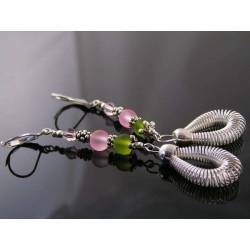 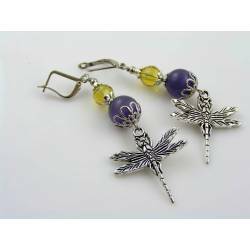 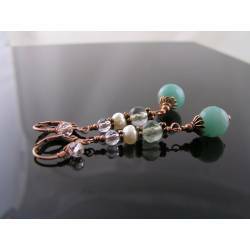 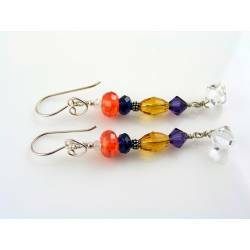 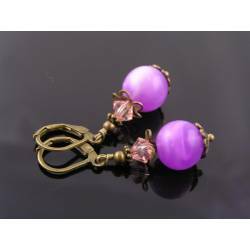 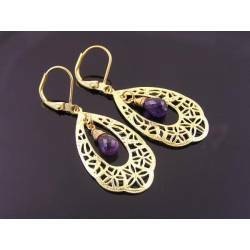 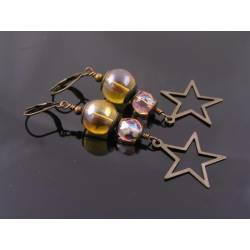 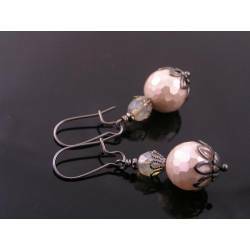 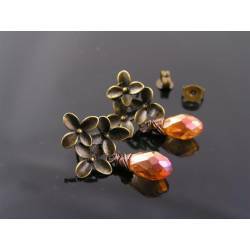 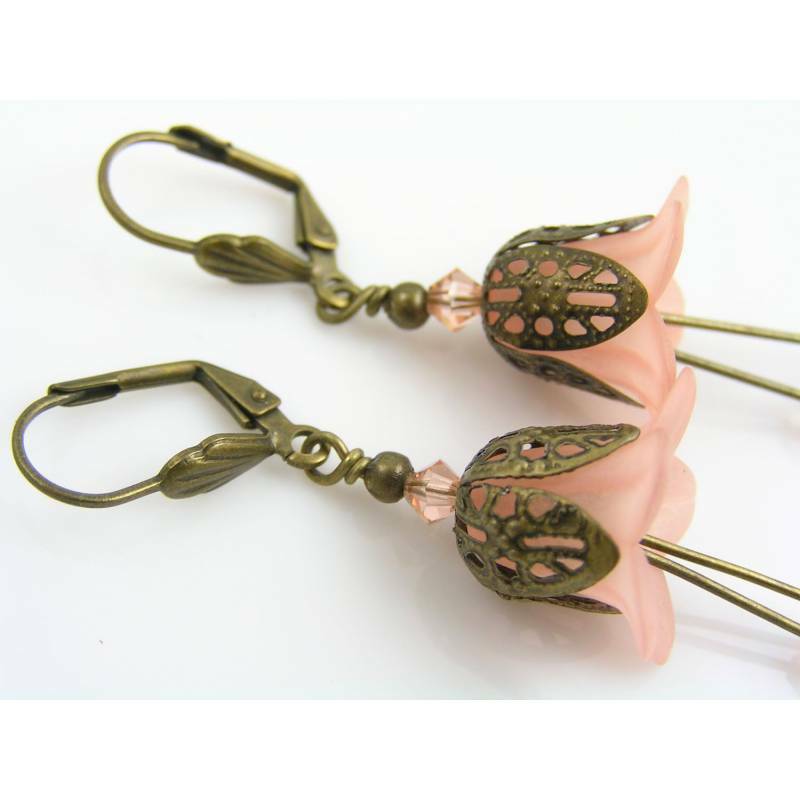 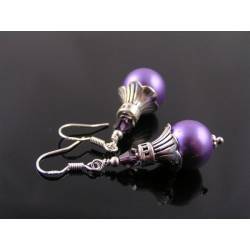 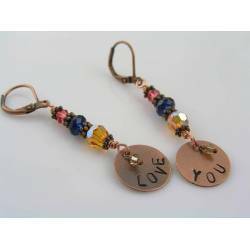 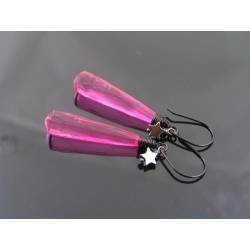 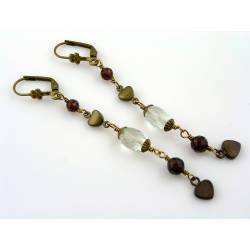 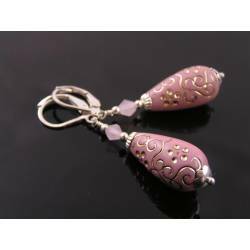 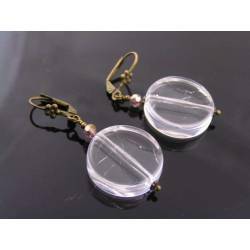 Dangling from secure lever back ear wires, the earrings measure 7cm in length including the little dangles at the bottom.